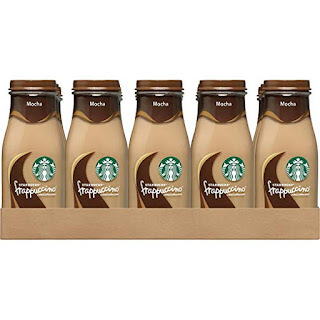 Head on over to Amazon where you can score this 15-pack of Starbucks Mocha Flavor 9.5oz Frappuccino Drinks for only $13.50 when you clip the 20% off digital coupon. That's like paying just 90¢ per bottle! Note that these drinks will be back in stock and ready to ship on August 7th.